Convert empty spaces/corners into something fun and useful. For instance, if you are dreaming of having your own walk-in closet, you don't have to utilize a big area or even a room for it. 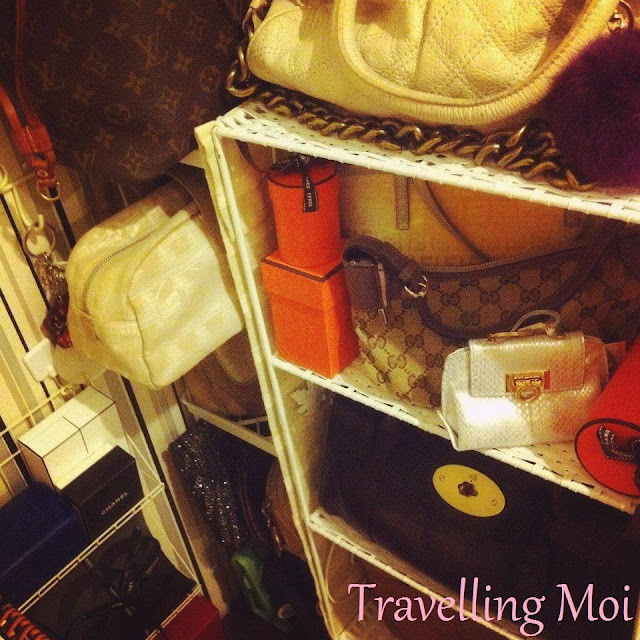 And especially if you have a tiny place, make an awkward space in your room into an open closet wherein you can finally decorate your clothes, handbags, shoes and accessories. An enjoyable Do-It-Yourself activity and you don't have to spend a lot of money. You can even reuse old cabinets from the storage; recycle shabby furniture and paint them with rustic or vibrant colors; or simply purchase a cheap bookshelf from IKEA. Last year, I turned a dead space at our apartment in Saigon into a corner closet. 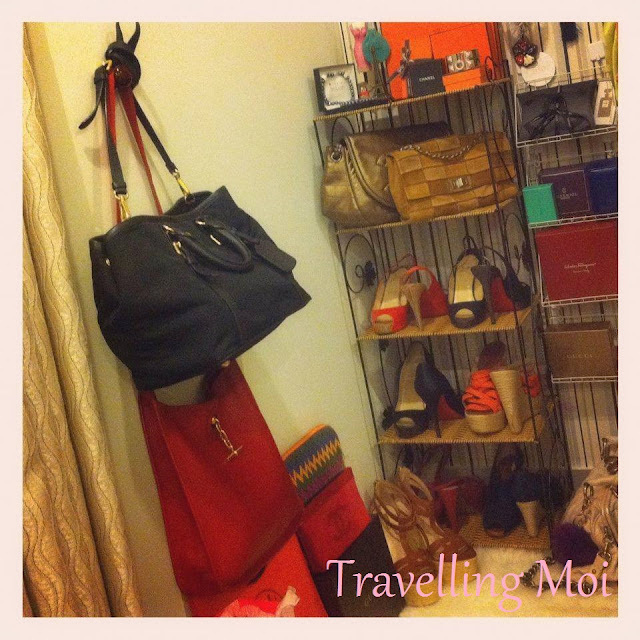 And for about $100 US, I was able to conveniently display my favorite or most-used accessories, bags and shoes. Definitely an accessible and tidy way without digging through my whole closet.